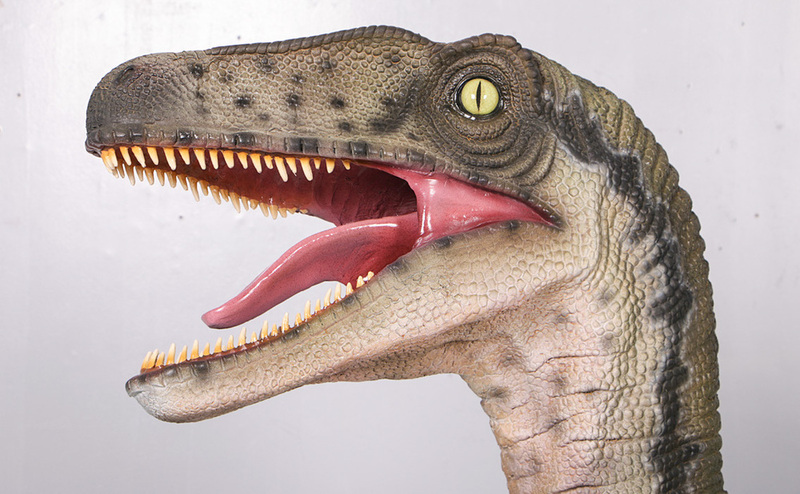 This Velociraptor model is well detailed and not as aggressive as our Fercious Velociraptor JR 150024. This model looks wonderful in any Dinosaur or prehistoric set. This stunning Velociraptor model is just over 5ft tall. The dinosaur is represented in an alert mode surveying it sorroundings. It looks amazing in foliage etc. The skin of this giant reptile is really well detailed.